Get the full scoop on tonight's proceedings. Ahead of Transgressive Records' sold out 'New Sounds' event at Bethnal Green Working Men's Club, take a peak at the stage times and info. Get excited. 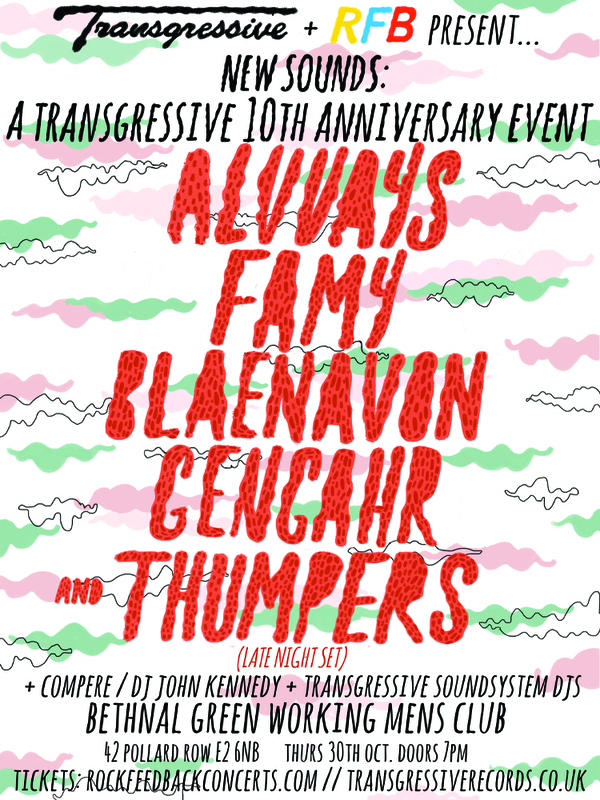 The first 50 people through the doors tonight get a free Transgressive Records sampler CD featuring Alvvays, Flume, Dry The River, The Antelers, Pulled Apart By Horses, and more.